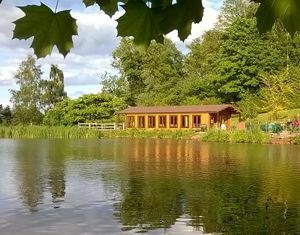 The Lakeside Room is a wonderful new addition to the facilities at Bodenham Arboretum. Set to the side of the Visitor Centre on the corner of the terrace, it enjoys superb views diagonally over the Big Pool and across the dam to the farm. It is available for exclusive hire daytime or evening throughout the year. The room can accommodate up to 40 people. For more information please download the booking form. The Lakeside Room can be booked for any number up to 40 and final numbers advised must be paid for. A deposit of £150 together with the booking form is required to secure the reservation. 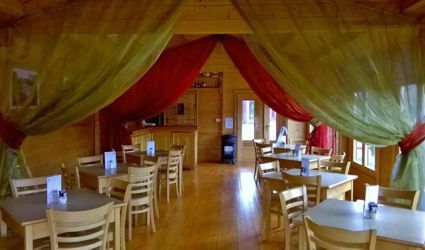 The Lakeside Room can be booked any evening of the week but please be aware that on Thursday evenings between May and September the Visitor Centre Restaurant is open to the public. The £200 hire charge for the room includes entry into the Arboretum for all of your party. Outside catering and bar are available for those sunny summer celebrations. All of our dishes are freshly prepared on the premises but may be subject to availability. We are licensed and have a selection of wines, beers, ciders and lagers, but you are still welcome to bring your own alcoholic beverages. The tables are laid with wine glasses and jugs of water. All menu prices and hire charges include VAT. We ask that a group select one menu only. Special requests or dietary needs can always be accommodated. Lakeside Lunchtime Booking Form – click here. Guided walks are always recommended for groups. They are at a relaxed pace mainly on flat ground and last for approximately 1 hour. 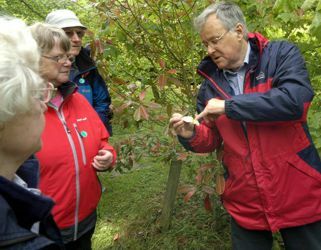 The walks are very informative and are generally taken by James Binnian who is the owner and co-founder of the Arboretum. The cost of the guided walk is £35. Lakeside Room Exclusive Lunchtime Booking and Menus.